The Scotsman TC180 ice and water dispensers are the perfect solution for busy bars, restaurants and food service outlets who serve ‘bottomless’ or ‘self-service’ soft drinks. The hands free, touch-less operation makes them easy for anyone to operate whilst maintaining high levels of hygiene and cleanliness. The cubelet ice produced by the TC180 has a large volume displacement relative to it’s weight which helps reduce drink product costs. 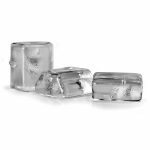 The TC180 produces cubelet ice and is available in two different ice storage sizes: ‘Short’ (SR) which has a ice storage capacity of 5kg or ‘Long Range’ (LR) which can hold up to 9kg of cubelet ice ready to serve. Both versions are available with either push button, manual controls or with hands free ‘touch-less’ controls. The SR version is also available as a ‘ICE ONLY’ EVO option. 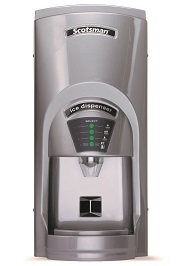 The touch-free operation of the Scotsman TC180 makes it ideal for the medical sector as the handling of ice is kept to the absolute minimum making it one of the most hygienic ice dispensing solutions on the market. Installing Scotsman chilled water fountains will provide your staff, clients and customers with the essential hydration which people need to maintain good health and to work at their optimum. The Scotsman SCW14B water fountain has an additional spout specifically designed to re-fill reusable water bottles which will help to encourage both visitors and staff members into using alternative containers, moving them away from disposable plastic bottles and cups.